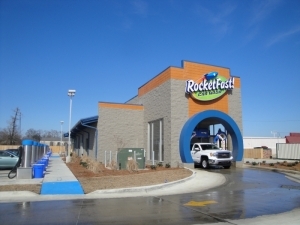 Lincoln Builders is pleased to announce the groundbreaking of our third RocketFast! Car Wash for our valuable repeat client, Taylor-Robertson, LLC. 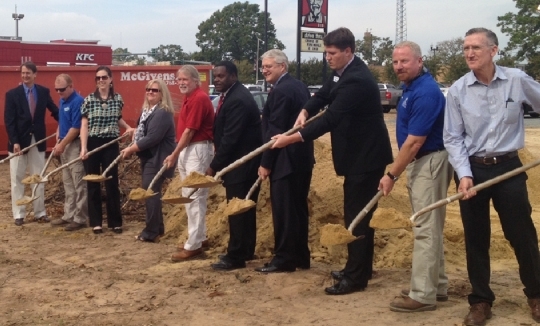 With recently opened locations in Monroe and West Monroe, Louisiana, this newest facility is adjacent to the campus of University of Louisiana at Monroe. 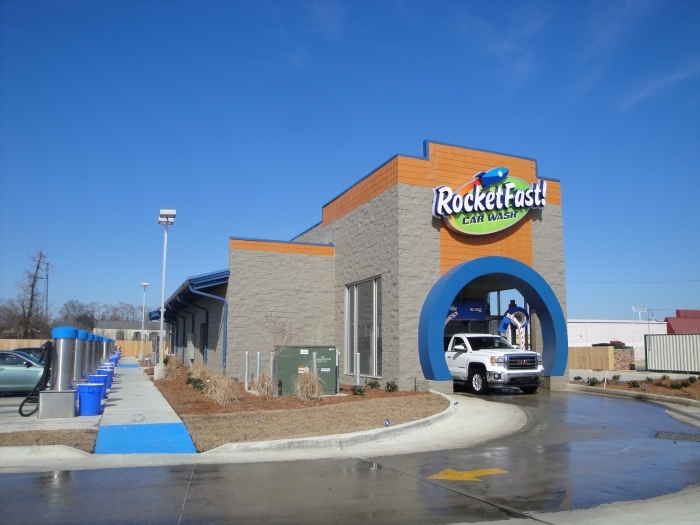 The new car washes offer free self-serve vacuums, self-pay stations, and automatic conveyor systems that provides customers a fast, simple and convenient experience. Lincoln Builders appreciates the teamwork of project manager Jerry Brasher and superintendent Bob Joyner. Thanks to managing partner Don Robertson of Taylor-Robertson, LLC for the opportunity to continue our mutually beneficial relationship. 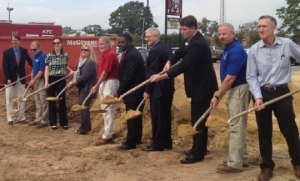 Pictured participating in the ground breaking are Lincoln CEO Danny Graham (right) and to his left Lincoln project manager Jerry Brasher, along with owner representatives, city and banking officials.